A Longicaud Psychropotes sea cucumber on polymetallic nodules, also known as manganese nodules. 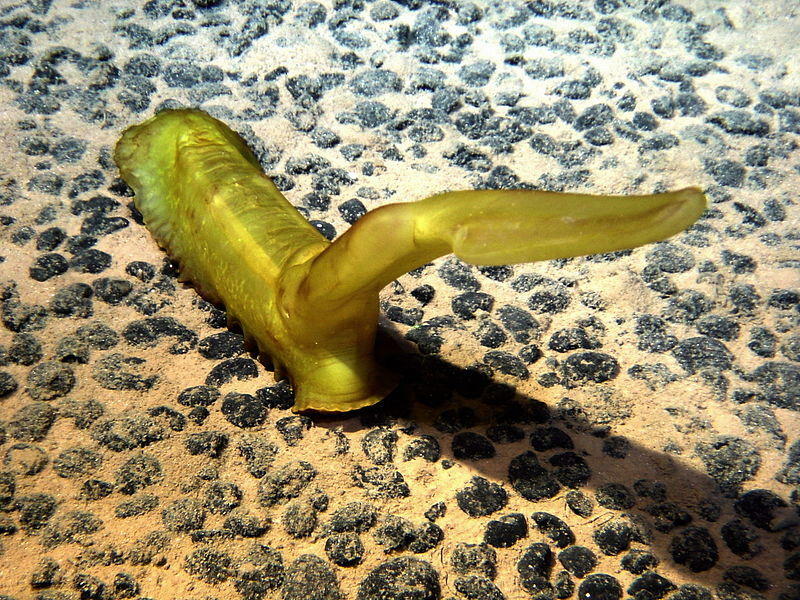 Predatory sponges and giant sea cucumbers were just a few of the discoveries made by University of Hawaii researchers on a recent deep sea survey. But this purpose of the mission was not to identify new species; rather it was to map the ocean floor for manganese nodules. More than a dozen countries are eyeing the ocean floor for the polymetallic rocks and for use in the computer industry. Deep-sea mining has not yet begun, but expeditions like this one are paving the way for it. 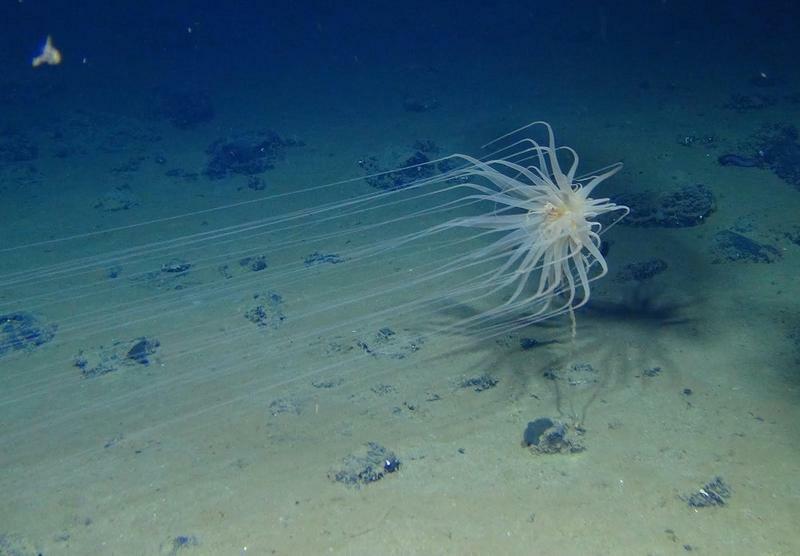 A push to survey the seafloor for undersea mining has revealed an abundance of life on the seafloor in the Clarion-Clipperton Zone (CCZ) — an area the size of the US mainland in the equatorial Pacific Ocean being targeted for deep-sea mining. 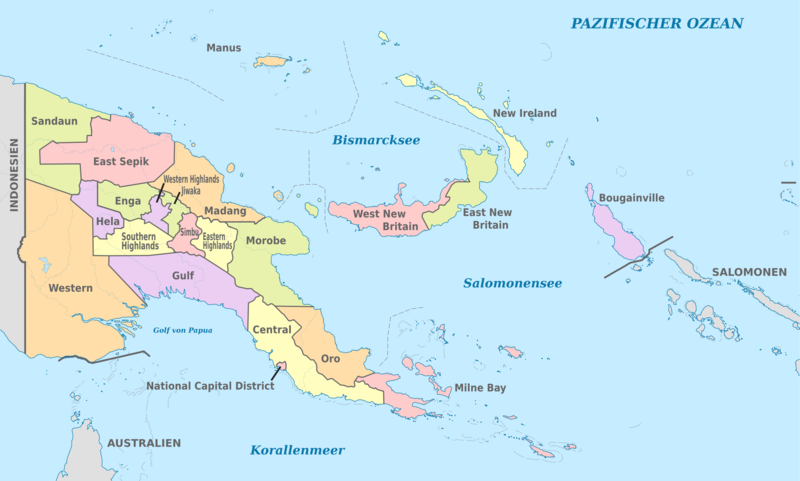 This week, Chinese investors signed an agreement with the government of Papua New Guinea to develop two giant industrial parks. One to focus on large scale processing of timber, fish, cassava and tropical spices, the other to produce steel and cement. Construction on the 4 billion dollar project could get underway as soon as next year and, as we hear from Neal Conan in today’s Pacific News Minute, another ambitious project could follow in 2019. The generations-old tradition of seaweed cultivation in Hawaiʻi is making a comeback. Seaweed or limu is an important part of the traditional Hawaiian diet, but it’s abundance in recent years has been diminishing. HPR’s Kuʻuwehi Hiraishi has more.